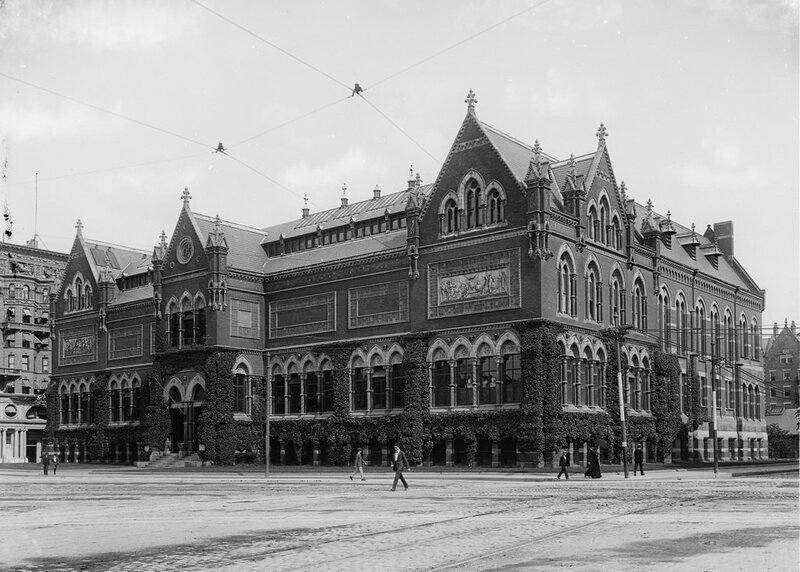 The old Museum of Fine Arts building at Copley Square in Boston, probably sometime in the 1880s. Image courtesy of the Boston Public Library. The building around 1890-1901. Image courtesy of the Library of Congress, Detroit Publishing Company Collection. 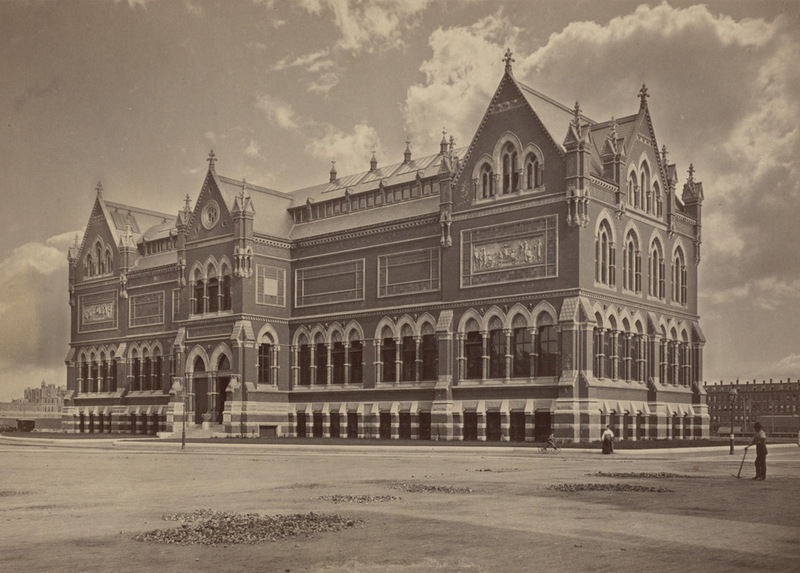 Boston’s Museum of Fine Arts was established in 1870, and six years later it moved into this Gothic Revival building on the south side of Copley Square. Because of the museum’s presence here, it was originally named Art Square, but in the 1880s it was renamed in honor of colonial Boston painter John Singleton Copley. The museum has a substantial collection of his works, including portraits of prominent figures such as John Adams, Samuel Adams, John Hancock, and Paul Revere. In 1909, the museum relocated further down Huntington Avenue in the Fenway-Kenmore neighborhood, on a larger plot of land that allowed for more expansion as the museum grew. Today’s museum is many times larger than the original Copley Square building, and it is among the most visited art museums in the world, attracting over a million visitors each year. 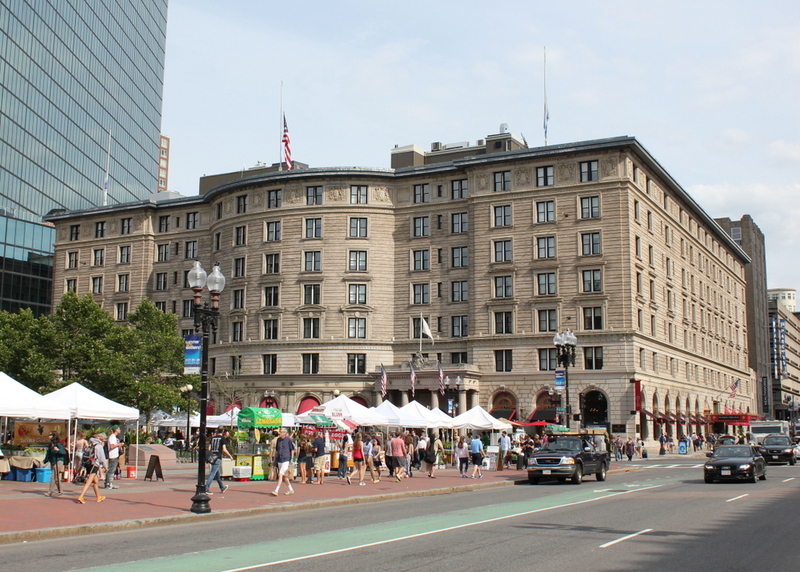 The old art museum was demolished soon after the museum moved, and in 1912 the Copley Plaza Hotel, which is still standing today, was built on the site. Does anyone know why they demolished such a beautiful and fairly new building?